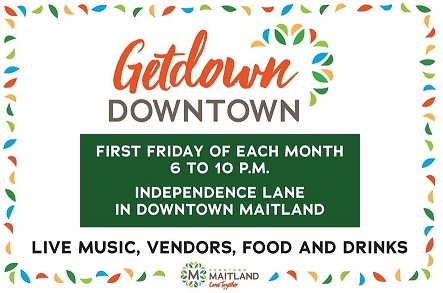 With the completion in October of the City of Maitland Downtown area, a new monthly event will be starting – Getdown Downtown! On the first Friday of each month, this pedestrian friendly area will be filled with live music, vendors, food and drink. We have waited a long time for this wonderful new addition to our city. The downtown area is just over 1 mile from us here at Thurston House. Take a stroll through our beautiful neighborhoods and arrive at the event ready to enjoy a fun evening. So book your room now and plan for a great start to a fabulous weekend in beautiful Central Florida! Coming up very soon is our city’s fabulous birthday celebration – Happy 130th Birthday Maitland! The City of Maitland was incorporated the same year Thurston House was built – 1885. 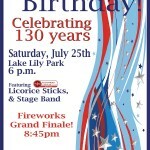 This celebration is much fun and only a short stroll away from Thurston House. 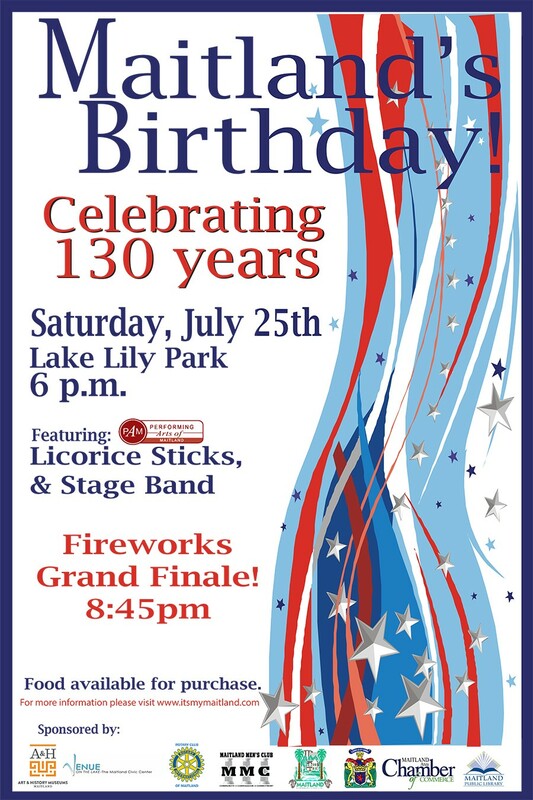 There will be food, music and fabulous fireworks, all held at beautiful Lake Lily Park. Come and have fun. 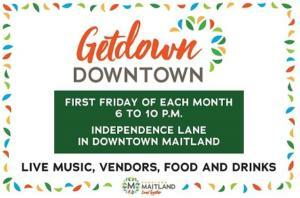 You don’t even have to bring a present, just say Happy 130th Birthday Maitland! 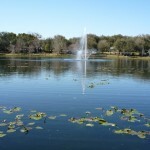 Pack your picnic blanket and basket of goodies and set up early on the shores of Lake Lily, close to all the fun. You will have a front row seat for the fabulous fireworks that start at 8:45pm! Room availability is limited so book now! Dali Central Florida – A Maitland Marvel! Just a week after the Maitland Art Center proudly accepted its’ National Historic Landmark designation, it opens a long awaited and much anticipated Salvador Dali exhibit! The Spanish surrealist painter has been called one of the biggest artistic names in history, and certainly the most famous to be displayed at the center. The Research Studio founder (now called the Maitland Arts Center) Andre Smith and Salvador Dali were contemporaries, but moved in very different artistic circles. The Dali Central Florida exhibit – Art and the Subconscious – will showcase works of both Dali and Smith side by side. This will highlight the contrast between the two men’s work and their own unique styles. 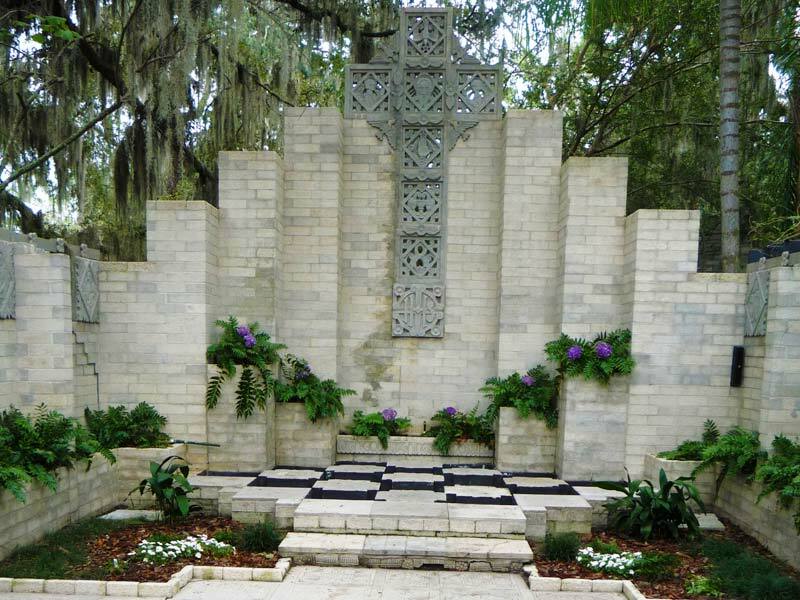 The Maitland Art Center is just a short stroll or dirve from our North Orlando Central Florida Bed & Breakfast Thurston House. 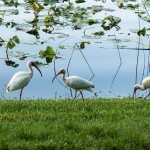 This area has a feeling of quiet and culture, yet is just minutes from downtown Orlando and Winter Park. Expect to be impressed during your stay here in Central Florida. The newest National Historic Landmark Florida, and the only one in Orange County, is being dedicated tomorrow! It is such an honor for all of us who live in Maitland. The Maitland Art Center was built by Andre Smith in 1937 to be used as an artists’ colony. The complex of buildings and courtyards, considered “Fantasy Architecture”, are quite unique and feature many Aztec & Mayan design elements. There is a Chapel & Mayan Courtyard, Main Garden, and many small studio buildings. The studios are hosts to a variety of artists who are involved in the Artists-In-Action program. Gallery exibits are changed often and feature a wide variety of collections. Art instruction classes are offered both for children and adults. The museum gift store has many unique one of a kind gifts, ranging from jewelry to pottery, and more. Newest National Historic Landmark Florida is truly a treasure for us all to enjoy. 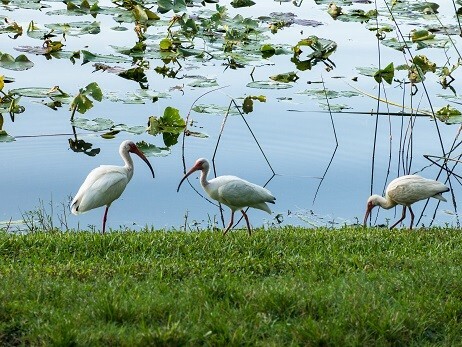 Guests at Thurston House, our north Orlando Maitland Winter Park area bed & breakfast can easily stroll over to the center, through wonderful neighborhoods and along several lakes. Wander the beautiful grounds, explore the chapel area, peak in the studio windows and check out the latest gallery exhibit. You will even be able to see the newest National Historic Landmark Florida plaque after the dedication that takes place tomorrow. Summer Concert Series North Orlando! Summer Concert Series North Orlando – The next summer concert at the Art & History’s Maitland Art Center main garden is coming up soon – Friday, June 14 at 7 PM featuring The Dan Jordan Trio. The A&H Associates, volunteer corps of the Art & History Museums – Maitland (A&H), in partnership with Performing Arts of Maitland, proudly present a Summer Concert Series in the A&H’s beautiful Main Garden, located at 231 W. Packwood Avenue, Maitland. The series, titled Art. Music. Food. Architecture., takes place the second Friday of every month from May –September. This perfect way to enjoy a summer evening under the stars, the Summer Concert Series is sure to delight. The Dan Jordan Trio takes the stage on June 14 with a program of original Jazz music with South American and Middle Eastern influences. The group has played together for over 20 years, and has performed with some of the best musicians in the business. The instrumentation is Flautist and Saxophonist Dan Jordan, percussion/spoken word artist Michael Welch, and Songwriter/Bassist Dan Walters. 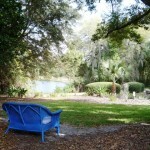 Our North Orlando Bed & Breakfast, Maitland lodging Thurston House is the perfect place to stay. Actually, one of the musicians is already booked for that night. Still rooms are open! 2012 Florida Film Festival is almost upon us! This year’s Florida Film Festival features a record breaking 168 films respresenting 31 countries. Running from April 13-22, films will be shown at the following venues – Enzian Theater, Regal Winter Park Village 20, Winter Garden Theater, and Central Park on Park Avenue. Every year the Florida Film Festival premieres the best in current independent and foreign cinema. And this year they are saluting their 21st anniversary by bringing you more of the best. With cutting-edge films, 100 visiting filmmakers, plenty of special guests, and non-stop events, this festival will do everything to ensure 10-days of Film, Food, and Fun. Thurston House, North Orlando’s only bed & breakfast accommodation, is just a short stroll away from the Enzian Theater, the major hub of all the activity. Book now! Thurston House Bed & Breakfast in Maitland is a beautiful place, but alas we cannot host special events. That’s OK, because it means that our fabulous setting amid 8 lakefront acres will be a quiet oasis for your getaway. Just minutes away from us there are five inspirational venues for your celebration or meeting . 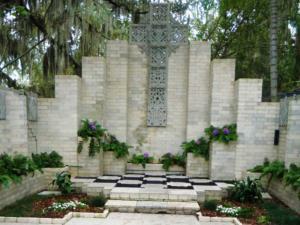 At the Maitland Art Center you find – The Chapel & Mayan Courtyard, The Main Garden, and The Germaine Marvel Building. At Lake Lily you find – The Cottage at Lake Lily and The Waterhouse Residence Museum Lawn. They all have unique characteristics, and I am sure one will be absolutely perfect for your needs! Contact Lauren Murphy to discuss your needs and plan your event – lauren@artandhistory.org or #407-539-2181 ext. 253. Then, don’t forget to book your room or rooms at our Central Florida Bed & Breakfast, Thurston House! 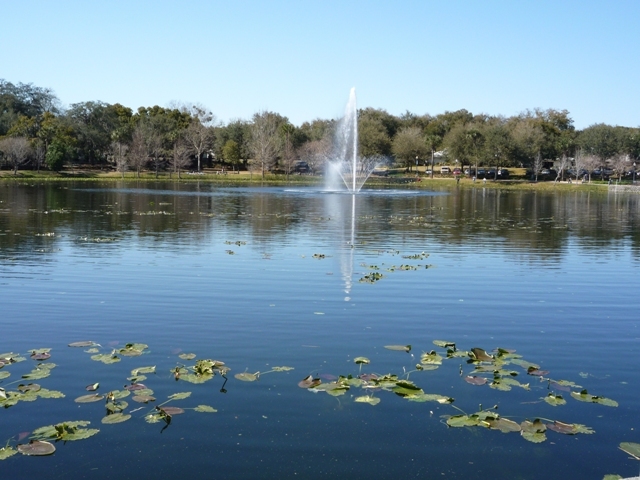 The City of Maitland in Central Florida is renowned for it’s wonderful neighborhoods, great neighborhood parks and even CULTURE! 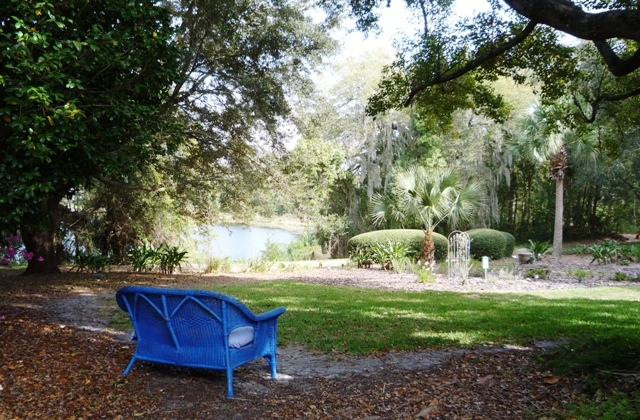 The Cultural Corridor starts at Lake Lily Park, home to the Waterhouse Residence & Carpentry Shop Museums. Also overlooking Lake Lily Park is the Maitland Civic Center, a location used for antique shows, receptions and all sorts of other events. Traveling along the corridor is the historic Maitland Library building, the Maitland Senior Center, the Maitland Historical Museum and the Antique Telephony Museum. At the far end of the Cultural Coridor is the unique Maitland Art Center. So much to do in Central Florida. Book your getaway now at Thurston House bed & breakfast!